Effective habits can bring you what you want. Get started on the novel you’ve been wanting to write. Pick up the guitar you’ve been wanting to play. What is stopping you each time you try to take action? Is there was an easier way? This is what you will find out in a session with me. After 10 years of helping people with habit change, will power and the Alkaline Diet, I can help you as I’ve helped countless others to get crystal clear about what steps they need to take to create the habits that give you the results you want. After a decade of coaching people with habit change, will power & weight loss, you can be assured that I’ve probably seen your issue before and can help you out. There is always a method to the madness that makes this entire mess make sense. How do you get to a place of crystal clear clarity? A place with no anxiety? For that, just look at the list below and pick the one area you want to change. If something on that list is something you want to change, Book a Session now. How do You Benefit from This Session? When you know the Exact steps to follow, you do Not Procrastinate. 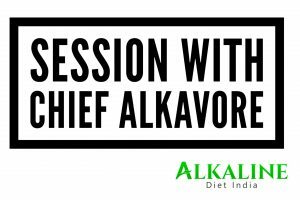 I have a decade of experience coaching people with the Alkaline Diet, Will Power, Habit change & Fear Setting. I have seen thousands of different unique cases of people and can probably help you too. Decision leads to action, take Decide Now. Indecision leads to inaction, if you do not decide nothing will change and things will go back to how they were. There is only Upside possible if you invest in the session. At the very least, you will leave with a few concepts that you can implement immediately. At the very best, your life will be the super productive life you have always wanted. Everything will seem to be working out for you, you will get into shape, work at office will become a breeze and life in general will seem like it is working out. Decide Now.